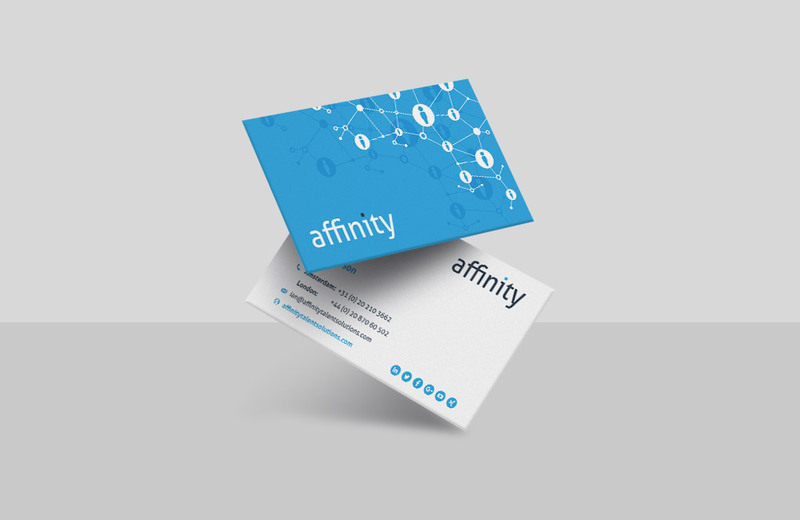 New company identity and rebrand with a new responsive website for IT recruitment firm Affinity. 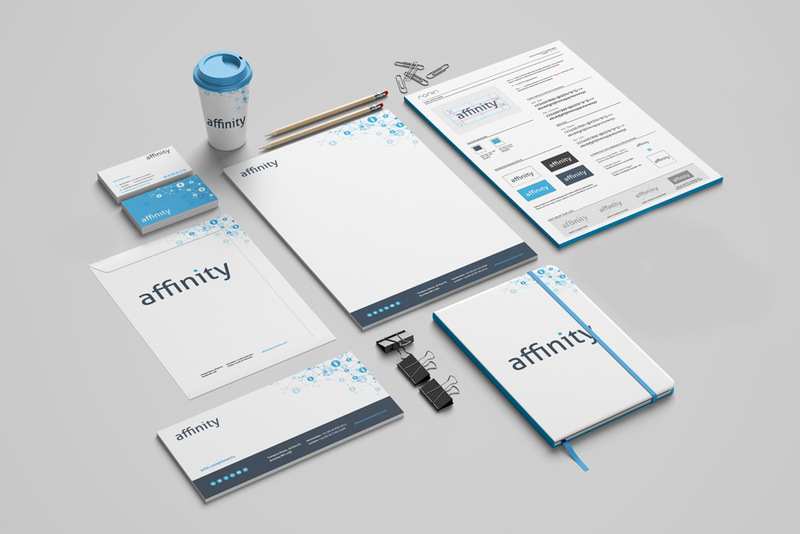 Affinity, which operates as a top talent provider for major brands in the UK and Netherlands, wanted to create a vibrant new ID to reflect the dynamic nature of its business and the market it operates in. The firm also wanted a state-of-the-art website that allowed clients and candidates to connect, and one which would be easy to use on mobile devices. Diligent research of the market lead to the creation of a number of exciting options for the company’s new name and some striking identity styles. ‘Affinity’ was the right blend of tech and people, and RONIN crafted a bold logo to reflect the company’s expertise and personality. 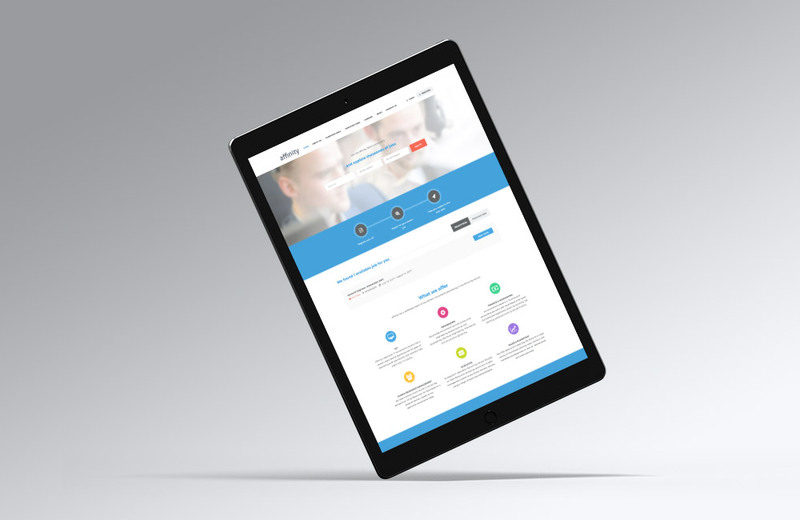 This branding was rolled out to a new fresh, friendly and feature-full mobile-responsive website, with great content including hints and tips for recruiters and candidates, plus easy-to-use job posting and candidate application functionality.